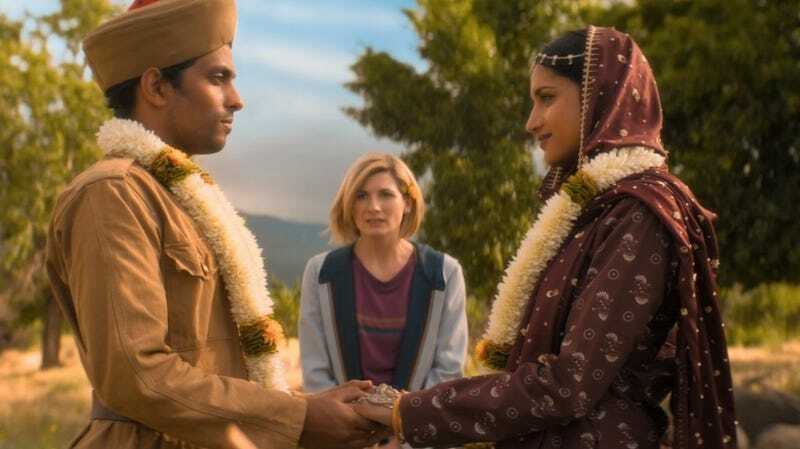 Jodie Whittaker in the Doctor Who episode “Demons of the Punjab,” which is a Hugo Awards finalist. The nominees for the Hugo Awards are here, honoring the best in 2018's comics, movies, TV shows, and other works. We’ve got some staples in genre fiction, like Black Panther and Spider-Man: Into the Spider-Verse, along with a few surprises—including the first time in Hugo history that a YouTube essay series has been nominated for an award. The World Science Fiction Society announced the full list of Hugo finalists on Tuesday. Voting is underway, and the winners will be announced at this year’s awards in Dublin, Ireland on August 18. Iconic TV episodes like The Good Place’s “Jeremy Bearimy” and The Expanse’s “Abaddon’s Gate” are on the list—along with two selections from Jodie Whittaker’s debut season in Doctor Who, “Rosa” and “Demons of the Punjab.” Plus, io9 co-founders Annalee Newitz and Charlie Jane Anders were nominated for their podcast, Our Opinions Are Correct. There are also two interesting additions to this year’s nominees for Related Works. First, there’s Archive of Our Own, a massive collection of transformative fanworks, like fan fiction and fan art—I guess that means all the fan fic on that site is now technically Hugo-nominated, so congrats, folks! And video essayist Lindsay Ellis (full disclosure, she’s a personal friend) has been nominated for her YouTube documentary series about The Hobbit, along with co-writer and editor Angelina Meehan. It’s the first time a Hugo nomination has gone to a YouTube essay since the category was expanded beyond books in 2010. Given the rise of online video essays over the past few years, this indicates a growing understanding and appreciation for the medium.